SC Builders is a mid-sized, financially secure, commercial general contractor. Today we have offices in Silicon Valley and San Francisco, and are known as the premier Bay Area construction company. SC Builders continues to succeed based on our passion to build. Our diverse resume of work includes the top technology firms in the Bay Area as well as mission critical, life science and institutional clients. BCCI is a full service construction company, privately owned since 1986, with offices in San Francisco and Palo Alto. Our primary expertise is in Structures and Interiors. Our experience spans a diverse range of industries and project scopes. An innovative and creative product of its Silicon Valley roots, Devcon matches its general contracting and design/build experience and capabilities to meet the needs of each unique project. Ranked as the largest general contractor in Silicon Valley for the majority of the past two decades, Devcon maintains a significant regional presence with offices throughout the West, handling both large and small projects for a wide range of owners, developers and end users. Jos. J. Albanese has been a leader in the Northern California construction community since its beginning in 1955. Beginning with the notion of providing clients with a high quality product and customer satisfaction in concrete construction, Jos. J. Albanese, Inc. has been able to grow through the years to now offer its services in structural concrete, site concrete, demolition, grading, paving, rebar, pumping, and sawcutting…all while never losing sight of what’s important: a superior product and customer satisfaction. GCI is a San Francisco based commercial contracting / construction management firm that specializes in commercial interior, corporate facility and building renovation projects throughout the Bay Area and Northern California. Whether constructing a new office complex or a complex manufacturing facility, XL focuses on building strong partnerships and successful projects. Armed with ingenuity and the latest technology, our brightest minds work with you to identify your needs, then tackle project planning to develop an individualized plan to deliver maximum value. Caletti Jungsten Construction was founded in 1987 on the principles of integrity, professionalism and teamwork. We are committed to providing innovative and superior quality service. By building teams and utilizing a progressive, sustainable approach, we deliver projects of unmatched quality and value. Gracie Construction is the result of my desire to put the heart and soul back into the construction process. Building compelling homes and structures is best done when a spirit of cooperation, intrigue and wonder is paired with strong craftsmanship, management and communication. Personal involvement in each and every project allows me to stay close to my clients, the design team and the project vision. Fredrick Construction is a full service CAD Design/Architectural Design firm and general contractor specializing in home building and remodeling. Jeff is our Bay Area Concretes Independent Sales Representative for the greater Sacramento area. Please call him, as he has the full support of Bay Area Concretes, Inc. You may call the staff at Bay Area Concretes for all sales help in the greater Sacramento & Northern California / Valley areas. We have a dedicated team of professionals at your service. We have organized our services to support our clients at every stage in the real estate and facilities cycle, from initial strategy through implementation and management. This is why we offer a range of services that includes strategic consulting, master planning, architecture and design, and program management. Gensler is a one-firm firm. Our offices and services are integrated, both to deliver projects effectively and ensure that every viewpoint is brought to bear in their development. The goal is to harness the full creativity, innovation, and technical proficiency of a global firm of nearly 2,000 – regardless of project location. Architectural Design, Interior Architectural Design, Building Consultation, Information Solutions, Facility Management, Graphic Design and Branding, Master Planning, Product Design, Program Management, Strategic Planning, Tenant Development, Urban Planning, Retail Prototype and Roll-out. Founded in 1985, SMWM combines the collective strengths of nearly 100 designers and professional staff members to benefit our clients and enrich our environments. With many years of collaborative experience, and renown in their respective fields, our principals have guided the firm to national prominence, and established its reputation as a fearless and discerning innovator. The Tom Duffy Co. is one of the top 3 largest sundries & supplies distributors in the country. Our products range from specialized items like polished concrete equipment to a wide selection of unfinished and prefinished hardwoods and finishes. And with an average tenure of more than 15 years, each of our Branch Managers is poised and ready to help the professional trade with any project. Now there is an advanced chemical and mechanical means of transforming a concrete slab surface into a hardened, durable, aesthetically reflective-decorative surface that resists abrasion, oil and other surface contamination. It’s called polished concrete. 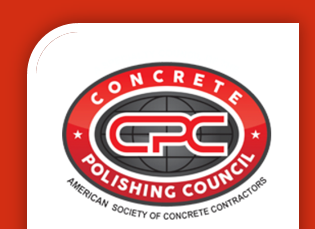 PolishedCrete by Bay Area Concretes has been installing and refurbishing concrete floors in the Bay Area with this system for over 5 years. For new interior concrete floors, we can color, add aggregate, polish, harden and permanently seal your beautiful new polished concrete floors. For existing interior concrete slab floors, we can color, polish, harden and permanently seal–a now beautiful polished concrete floor.